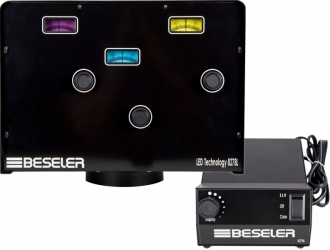 The Beseler 45SL Dual Dichro LED Color Head is a solid state, dichroic colorhead incorporating a self-contained, stabilized power supply. Beseler stayed true to their traditional design and added modern day technology. 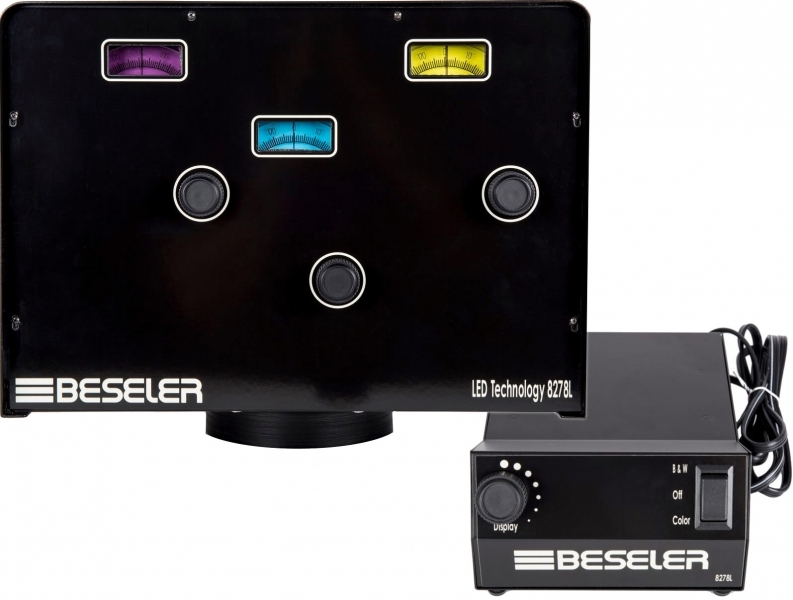 This head can print both Color and Black and White enlargements and from film sources ranging from sub-miniature to as large as 4x5 - making it the most versatile Beseler light source available. 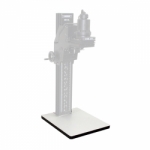 This head fits directly onto Beseler 45MXT & 45VXL series enlargers with simple installation. The Dichro 45SL uses new LED technology to provide a diffusion light source that is reliable and dependable and which will last for many years of darkroom use. The LED lighting has eliminated the need for an internal cooling fan, keeping the unit free from vibrations during exposures and the darkroom free from fan noise. An external, stabilized power supply allows changing from color printing to black & white, with the flick of a switch! Filtration values are individually displayed on an illuminated analog scale, with controllable dimmer switch located on the power supply. Filtration values range from 0-200cc of Yellow, Magenta and Cyan. Ships in two boxes - one for head and one for power supply. Beseler Baseboard For 45V-XL Enlarger - 23 3/4" x 30"